Prior to the Civil War, But­ler was a lawyer in Lowell and a militia officer, though with no combat experience. During 16 years in the Mas­sachusetts militia he rose to the rank of colonel. In 1855, Gov. Henry Gardner disban­ded Butler’s unit, comprised mostly of Irish Catholics. Butler was forced to move to another company, where he built a following that elected him as a brigadier general. Gardner was forced to sign Butler’s commission. To say that the Civil War changed everything is an ob­vious understatement. It cer­tainly changed Butler’s position as an officer and his political affiliation. He had attended five national Dem­ocratic conventions including the historic 1860 convention in Charleston, S.C., where he supported Jeffer­son Davis’ candidacy. In 1861, with the Southern Demo­crats seceding, he joined the Republican party. Three days after the surrender of Fort Sumpter, S.C., the Secretary of War called for 1,500 troops from Massa­chusetts. Butler suggested that instead of three regiments, the troops should be sent as a brigade and it would be appropriate for it to be led by a brigadier general — him. Butler sent a regiment ahead as an advance guard. In Baltimore, they were at­tacked by a mob and three soldiers were killed. Addi­tionally, the rail line to Wash­ington was blocked. He was credited with keeping Maryland in the union. Secession would have left Washington D.C. surrounded by rebel states. The Secre­tary of War promoted him to major general, making him the ranking general of volunteers in the Army. The usual path to promotion for military officers would be through exceptional performance in battle. Butler, though, had attained his high rank through political strategy. Maryland was to be the high-point of his military career. Despite his high rank, when the great generals of the Civil War are listed, Butler is not among them. Most everything he undertook was a failure. Butler declared that since the south considered slaves to be property, they could be taken as “contraband” if they came behind Union lines. Previously, they would have been returned to the south under the fugitive slave law. But if they were returned, they would be used to support the rebel effort. This was more than a year ahead of the Emancipation Procla­mation. In April 1862, a Union am­phibious force took New Orleans, after which Butler rode into the city to become its military governor. Al­though he accomplished some positive things for the city, he came to be reviled, especially by the aristocracy. In his autobiography, But­ler wrote that the order worked. No longer were officers subjected to abuse, and no women were charged under the order. He tracked down money that had been taken from the United States mint, even chasing money that had been parked overseas. He was relieved of his position in New Orleans in De­cember 1862 and was inactive for most of 1863. Al­though clever, he was also pompous and vain. One problem for the Union Army was what to do with Butler. Grant was able to discharge other political generals, but Butler was politically skilled and well-connected. Lincoln offered him the vice presidential slot on the 1864 ticket. Butler, wanting to remain in the Army, told him no, not unless Lincoln promised to resign or die within three months. This proved to be quite prophetic. He was a senior Major General, and in 1864 was given command of the Army of the James, operating in Virginia. Gen. Ulysses S. Grant had started the Battle of the Wilderness, a long, costly move toward the Con­federate capitol of Rich­mond. The plan was for But­ler to land in back of Gen. Robert E. Lee, creating a distraction. He had a force of 40,000, against 800 troops led by Gen. Beauregard. Butler, though, did nothing, and he did it grandly. 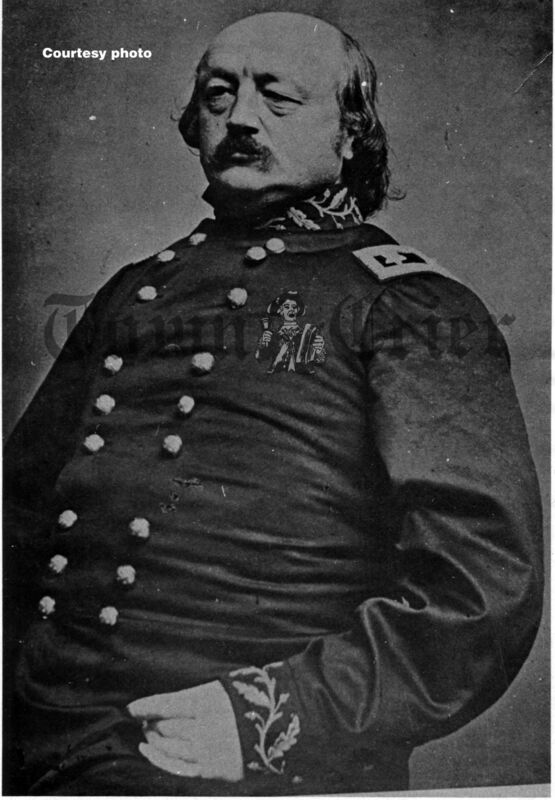 He al­lowed his troops to be bottled up by Beauregard’s much smaller force. Grant got no help from Butler. As the war was winding down, the Con­federacy had but one seaport remaining, at Wil­ming­ton, N.C. It was protected by Fort Fisher, in the mouth of the Cape Fear River. With military correspondence going through his of­fice, Butler learned of the plans and took over the command. He would explode an ammunition ship near the fort, demolishing it. The operation began on Dec. 24, 1864. The explosion was premature and did not land the blow that Butler had sought. A Union force landed but was met by Con­federate troops under Maj. Gen. Robert Hoke. On Dec. 27, Butler, in defiance of Grant’s orders, ordered the withdrawal of his 1,000 soldiers from the beach. Grant relieved him of his command. Grant turned to Gen. Al­fred Terry to launch a second attack two weeks later. On Jan. 12, Adm. David Por­ter initiated continual bombardment from a line of 56 ships. Gen. Adelbert Ames attacked with 8,000 infantry from the northwest. At the same time, Lt. Cdr. Kidder Breese landed 2,000 sailors and marines northeast of the fort. This attack was re­pulsed, but it allowed Ames to breach the fort. A fellow officer described Ames as being fearless in battle, as­tride his horse, in his general’s uniform, calmly calling orders to his troops. While Terry was initially credited with the victory, he later ac­knowledged Ames as the architect of the plan. With their supply lines cut, the Confederate States surrendered three months later. On Jan. 8, 1865, Lincoln or­dered Butler to return to Lowell. Lincoln was shot on April 14, dying the next day. 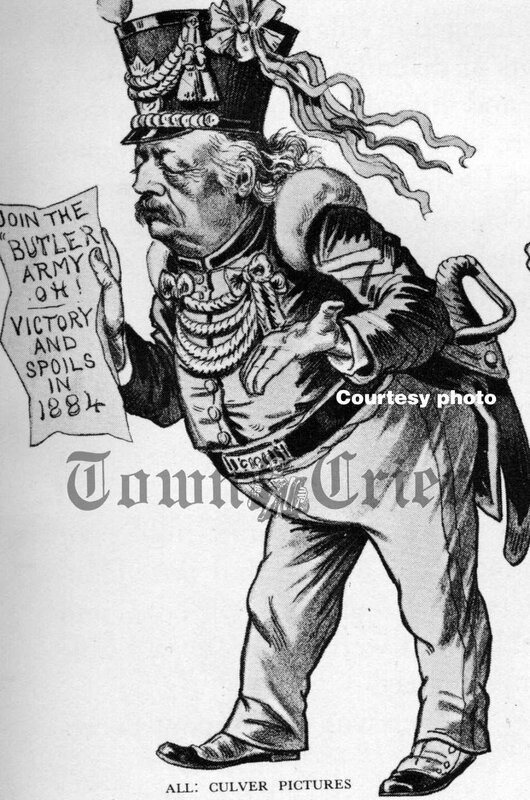 Had Butler taken the vice presidential slot, he would have become president. In­stead, Andrew Johnson be­came the 17th president. Butler was elected to Con­gress in 1866, serving four terms as a Republican. He was the author of the articles of impeachment against Pre­sident Andrew Johnson, ar­guing the case before the Senate in a four-hour speech. Butler lost by one vote and Johnson hung on until the end of his term. He also au­thored the Ku Klux Klan Act and co-wrote the nation’s first civil rights law. In 1873, he lost a re-election bid. Two years later, he came back as a Democrat and Greenback, winning a fifth term in Con­gress, 1876-78. In 1882, after several tries, he was elected governor of Massachusetts for a one-year term. As governor, he tackled the serious mismanagement problems at the Tewksbury almshouse. He also appointed the first Irish-American and African-American judges, and the first woman to state office. He prevailed upon Clara Barton to run the Massachusetts Reformatory for Women. He lost a contentious bid for re-election in 1883. The following year, he was a candidate for president, first running unsuccessfully as a Democrat, then as a Green­back. His strange looks and political antics were frequently lampooned by cartoonists including Nast and Keppler in Puck magazine and Har­per’s. Butler founded the Wame­sit Power Co. and the United States Cartridge Co. The latter firm had a massive ex­plosion in Tewksbury a decade after Butler’s death. In his final years, he wrote a 1,000-page memoir, But­ler’s Book. His law practice had flourished in the post-bellum era, with offices in Boston, New York and Washington. He won a $1.5 million case for Adm. Farragut for prize money seized during the Civil War. He had been admitted to practice before the U.S. Supreme Court in 1847. With a tenure of 46 years, he had just argued a case before that court when he died in Washington on Jan. 11, 1893.